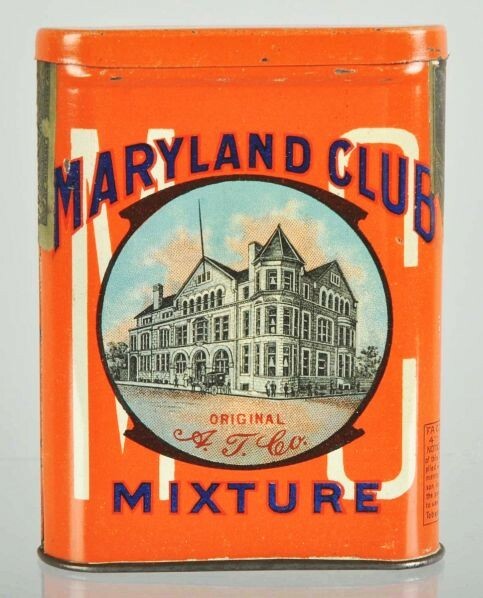 Maryland Club Vertical Pocket Tin with Fantastic graphics of the Maryland Club which still stands in Baltimore. Tin can be found in flat top shown or with a flip top. Manufactured by Marburg Brothers.